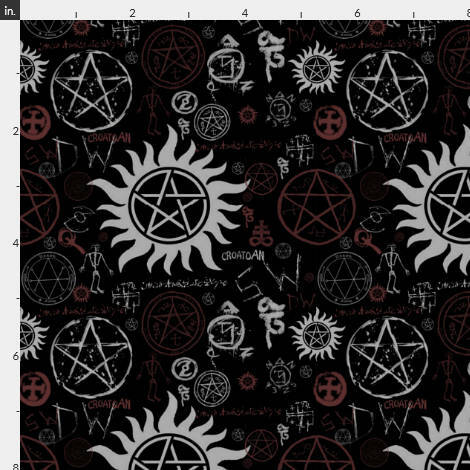 This item uses super soft minky fabric with symbols from Supernatural all over it. 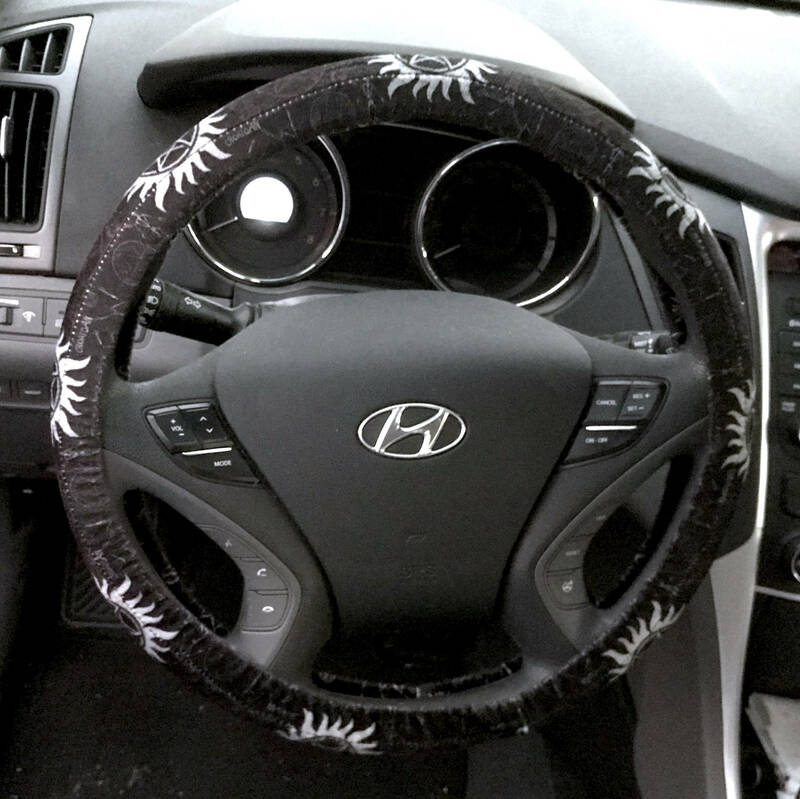 This fits a typical 15-inch steering wheel. 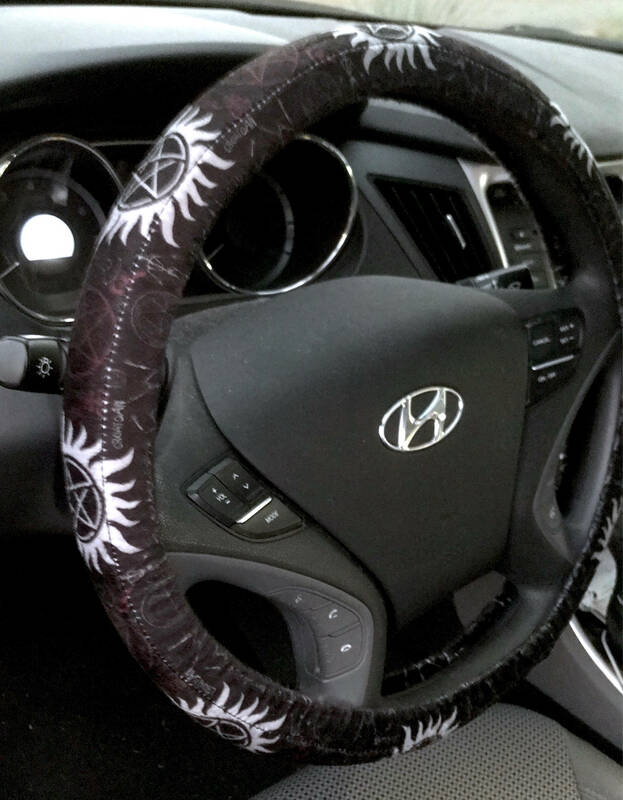 My steering wheel measures 47" in circumference. The fabric has a small amount of stretch, but if you need a different size, please request it when placing your order. IMPORTANT CHRISTMAS DELIVERY DEADLINES: I cannot guarantee delivery by Christmas anymore. I will be shipping items out as quickly as I can, but please be aware that your items may not arrive by Christmas. If you are in the Los Angeles area, I would be happy to meet you for same-day delivery if you need an item ASAP. Unfortunately, I cannot guarantee Christmas delivery for international shipments. I love this! The fabric is super soft and really nice, and super cute! 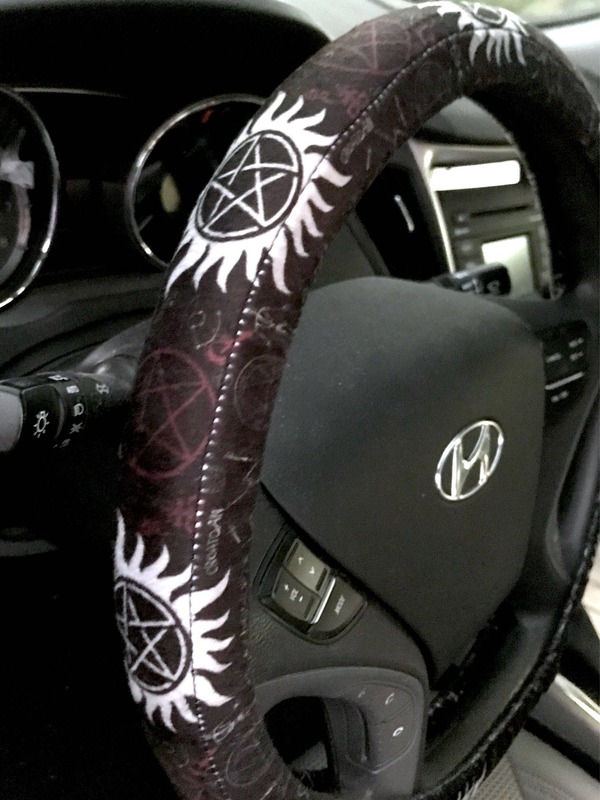 This steering wheel cover is everything I hoped it would be and more.